Palatine Hill (via di San Gregorio, 30, Metro: Colosseo. Full price €12. 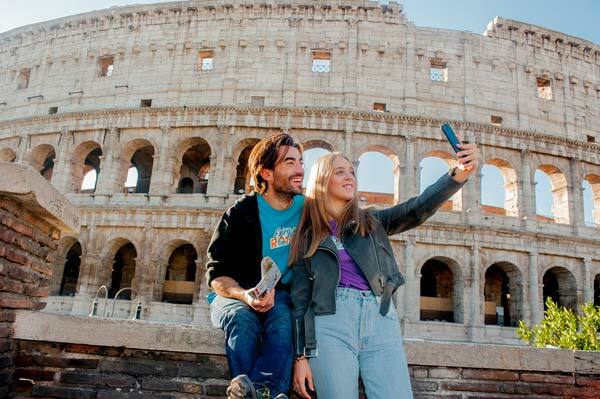 The ticket is valid for one entrance each to the Palatine Hill, Roman Forum, and the Colosseum within a 24-hour period). 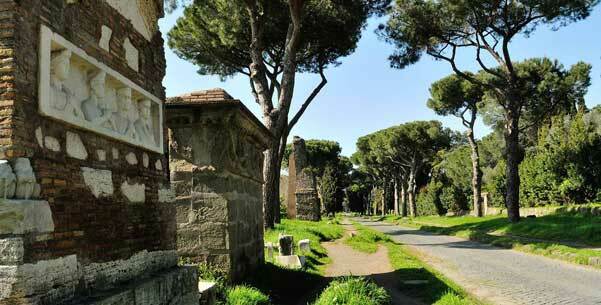 As the place where Romulus legendarily founded Rome, the Palatine Hill is a great place to start your visit to Rome. 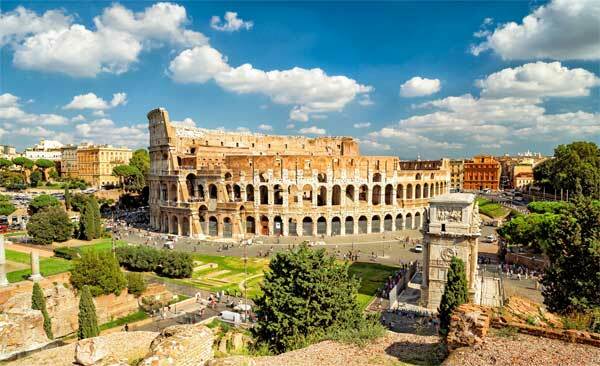 There’s a good practical reason too; the Colosseum is probably somewhere near the top of your list of things to see in the city, and it is included on the same ticket as the Palatine and the Roman Forum. Plus the lines at the Palatine ticket office on the Via di San Gregorio are much shorter than those at the Colosseum. 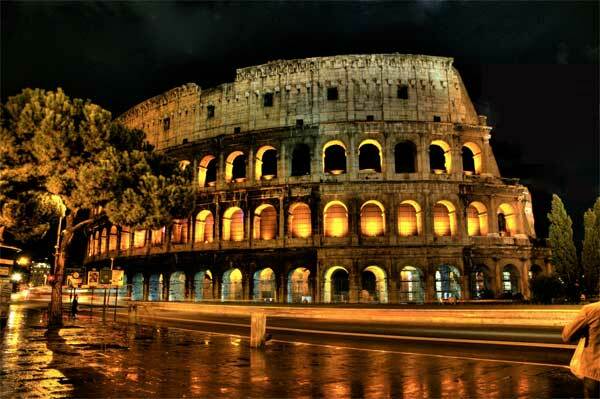 Buy your ticket there and when you get to the Colosseum you can walk straight past the lines. After the foundation of Rome by Romulus, the Palatine Hill remained inhabited for well over a thousand years. After the overthrow of the last king of Rome and the foundation of the Roman Republic, it became the smart residential area of the city. After the Republican period, upon Octavian’s creation as the first of the Roman Emperors with the title Augustus, the hill took on an important propagandistic role. Augustus began to build a palace, which he built close to the area where Romulus had founded the city. He described himself as the “New Romulus” and sought to emphasize his glorious heritage; he was the nephew of Julius Caesar, who in turn claimed direct descent from the Trojan hero Aeneas. Building his palace where Romulus had lived, he claimed a link to a family tree which saw him as part of the line which from Venus, passed down through Aeneas and Romulus. What better right to rule? After Augustus’ palace was built, subsequent emperors modified and enlarged the palace buildings; most of the ruins which we see today are those of the vast and once spectacularly opulent palace which was built in the late 1st century by the mad, bad, and dangerous to know Emperor Domitian of the Flavian dynasty. A complex of great vaulted halls and open courtyards where fountains once played, Domitian’s palace has long since been stripped of the colored marbles and granites which were brought back from the far parts of the Empire for its decoration. The opulent cladding now decorates a countless number of the city’s 957 churches and the brickwork visible today is the skeleton of the buildings, the bare bones of the structure, never intended to be seen by Imperial eyes. From the Via di San Gregorio entrance, the steps lead to a view over the long sunken garden which was the culmination for visitors of state to the Imperial Palace (visitors originally entered from the Forum side of the hill). Because of its shape it has been called the Stadium, or Hippodrome, although it is undoubtedly far too small for horse races. As well as offering a peaceful break from the bustle of the city, it's the red-brick ruins sitting picturesquely amid pine trees, the Palatine Hill offers a good view over the Circus Maximus. Site of Ben-Hur style chariot races for some eleven centuries, the Circus is now a rather scrubby piece of land, favored by dog walkers (and all that entails). From down on the ground it is difficult to get an idea of what it must once have been like, but from up on the Palatine Hill (where the Emperors had their own private box) the scale is visible, but not the dog mess. Continuing towards the westernmost corner of the hill, the mid-twentieth century excavations are visible. These revealed holes carved in the bedrock, which are believed to have been the supports for oval prehistoric huts, known as the Romulean Huts. Close to these excavations is the House of Augustus, where frescoes dating to the 1st century B.C. have been discovered. There are a number of other interior sites across the hill where Republican frescoes can be seen, including the House of Livia and the House of the Griffins. Like the House of Augustus however, these are sporadically open to the public and do not have guaranteed opening hours. This street was razed through Medieval and Renaissance districts of the city by Mussolini in the 1930's, who originally named it the Road of Empire. It now bears the name of the Imperial Fora, the extensions to the Roman Forum added by assorted Emperors. Significant sections of the Imperial Fora are visible from the road, whilst others languish beneath the cobbles and the hurtling traffic. It was Julius Caesar (who ruled as Dictator during the late period of the Roman Republic, just before the birth of the Empire and wasn’t an Emperor) who set the ball rolling, with his new Forum, behind the Senate House. The temple in his new Forum was dedicated to Venus Genetrix, a reference to Julius’ grand family line which he claimed reached right back to Aeneas, the Trojan hero and son of the goddess Venus. After Julius’ assassination, his nephew Octavian’s rise to power culminated in Octavian declaring himself the first of the Emperors with the title Augustus. Augustus followed his uncle’s lead by building an extension to the Roman Forum which would bear his name. What remains of the Forum of Augustus is a little further down towards the Colosseum, before the junction with Via Cavour, and on the other side of the road from the Roman Forum. It is identifiable by the wall made of hefty greenish blocks of tufa. In the wall grooves form a triangular shape which once supported a pediment of the Temple of Mars, the god Augustus chose for his forum, once again a reference to the family’s heroic lineage was being made; Mars, the god of war, was the father of Romulus, which fitted in nicely with Augustus’ claim to be the “new Romulus”. Directly opposite the Forum of Julius Caesar, towards Piazza Venezia from the Forum of Augustus, is the addition, over a century after Julius built his Forum, of the Forum of Trajan. Trajan, ruling in the late 1st and early 2nd centuries, found himself needing to create a space for his Forum, which he did by removing the saddle of land which then joined the Quirinal Hill with the Capitoline Hill. To shore up the Quirinal, he built a large hemispherical terraced structure, thought perhaps to have contained areas dedicated to trade and merchant activity, and therefore known as Trajan’s Markets. Ever religious, Trajan was a little concerned about having muddled with nature and the will of the gods with his massive earthwork, and as an acknowledgment of his modifications, he erected a column exactly the same height as the land removed. Trajan’s Column bears carvings which spiral up, rather like an open scroll, and recount the triumphs of Trajan in Dacia (modern day Romania). The carvings are considered one of the greatest achievements of Roman art, and offer an enormously important view into military techniques of the period. Trajan’s Markets and part of Trajan’s Forum, are incorporated into the Museum of the Imperial Fora (9am-7pm Tues-Sun, €6.50/€4.50) entrance on Largo Magnanapoli where the red brick tower, the Torre delle Milizie, is a reminder that the structure was converted into a fortress during the Middle Ages, one of the reasons it remains so well preserved. At the opposite end of the Via dei Fori Imperiali from the Colosseum, the Piazza Venezia takes its name from the 15th century Palazzo di Venezia, the brown building along the western side of the square. It was built in the mid-1400's by the future Pope Paul II, who was then the Ambassador from the Venetian Republic in Rome, and bears the name of his city. During the period of Fascist rule, Mussolini occupied the Sala del Mappamundo as his office. Italy’s entrance into the Second World War was announced from the balcony of this room, directly over the main doorway. 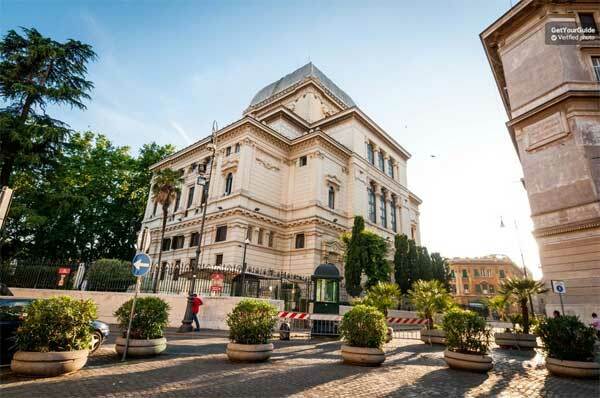 Part of the Palazzo is the Museo Nazionale del Palazzo di Venezia, entrance on via del Plebiscito (8.30am-7.30pm Tues-Sun, €4/€2) with a picture gallery, a collection of porcelain, and a collection of ancient, medieval and Renaissance carvings in the Lapidarium. Dominating the piazza, is the incongruous white hulk of the Altare della Patria that was inaugurated in 1911 and is often flippantly referred to as the Wedding Cake, for its tiered appearance and rather fussy decoration. Built to commemorate the Unification of Italy, it houses the tomb of the unknown soldier, the Museo Centrale del Risorgimento (9.30am-6pm Tues-Sun, free) which documents the struggle for the 19th century Unification of Italy, a space for temporary art exhibitions (entrance by the Forum of Julius Caesar), and a glass lift inaugurated in 2007 (every day 9.30am-7.30pm, Fri and Sat in the summer open until 11.30pm, €7) which whisks you up to the top of the monument where you can enjoy fabulous views across the city centre, and beyond. To the right of the Altare della Patria, a shallow flight of steps (not the really steep one) leads up to the Piazza del Campidoglio. Once the site of the most important temple of the Roman world, the Temple of Jupiter Optimus Maximus, it owes its current form to 16th century designs by Michelangelo. He modified and incorporated existing medieval structures into this harmonious piazza. The central building with the bell tower is the Palazzo dei Senatori, now home to Rome’s City Hall. The flanking Palazzo dei Conservatori, on the right, and Palazzo Nuovo, on the left, are home to the world’s oldest public museum, first opened in 1471. Michelangelo’s designs for the piazza also saw the bronze equestrian statue of Marcus Aurelius moved from the Lateran palace, where it had survived the Middle Ages because it was believed to represent Constantine. Given that Constantine was considered to be the first Christian Emperor, the statue had a lucky escape, and was not melted down to make weapons. The statue which we now see in the centre of the piazza is a replica, made in the 1990's, when the original was moved inside the museum. Capitoline Museums, Piazza del Campidoglio. (9am-8pm Tues-Sun, €7.50/€5.50; a supplement may be added to the ticket price when a temporary exhibition is showing). As well as the original statue of Marcus Aurelius, the vast archaeological collection of the Capitoline Museums contains the famous sculpture of the she-wolf which is the symbol of the city. The statue was long believed to be an Etruscan piece dating to about 500 B.C., although recent studies have suggested that it might in fact be a medieval piece. The discussion is still open, although there is no doubt that the suckling children, representing Romulus and Remus, were added in the 15th century. The Palazzo dei Conservatori (where you enter the museum) is connected to the Palazzo Nuovo (on the other side of the piazza) by a basement passageway with a collection of tombstones, and other inscriptions. From this passage, take a brief detour to the Tabularium (the Roman archive building of the 1st B.C., on which the Palazzo dei Senatori is built). From here you can admire one of the finest views across the Roman Forum towards the Palatine Hill and the Colosseum. 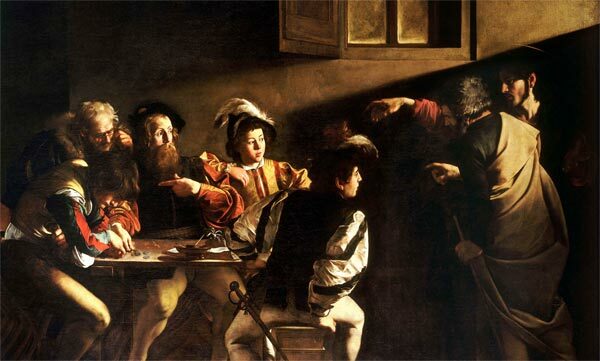 As well as a wealth of antique sculpture, the Capitoline Museums also has a picture gallery with works by Caravaggio, Veronese, and Titian, and a nice café with a great view.